Mother and infant killed in North Carolina from tree which fell on their home as a result of Hurricane Florence. A mother and an infant were killed in North Carolina on Friday after a tree fell on their home, The Associated Press reported. They are the first two fatalities of Hurricane Florence. The father was transported to a hospital for treatment. No other information was given. 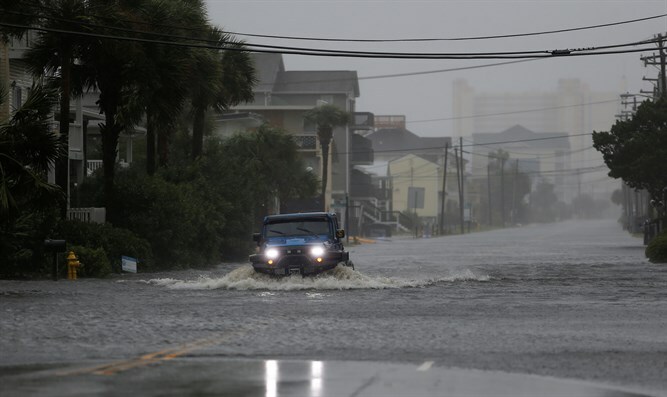 The National Hurricane Center in Miami said more than 16 inches of rain have fallen at locations in southeast North Carolina and another 20 to 25 inches is on the way. More than 634,000 homes and businesses were without power in North and South Carolina early on Friday, according to Reuters. Utility companies said millions were expected to lose power and restoration could take weeks. Florence had been a Category 3 hurricane with 120 mph winds on Thursday but dropped to Category 1 before coming ashore. It is expected to move across parts of southeastern North Carolina and eastern South Carolina on Friday and Saturday, then head north over the western Carolinas and central Appalachian Mountains early next week.